Library After Hours: 80s Night with the Future Heavies! Join us for a fun family evening featuring the Future Heavies band performing all of your favorite 80s songs, dancing, face-painting, jewelry making, and 80s-themed games! (Did someone say Pacman?) Don't forget to wear your favorite 80s outfits --prizes will be awarded for best costumes--er, clothes! 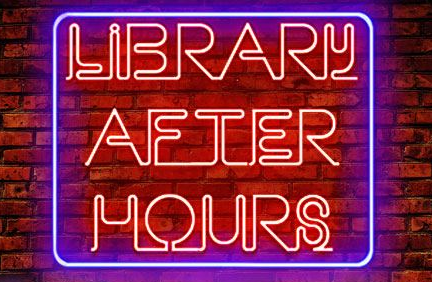 Pizza and drinks will be provided by the Friends of the Library. There is no admission fee or cost for refreshments, but donations to the Friends are appreciated and help defray the cost of these special events. Please note that the lower level of the Library will not be open to the public. Please register so that we know how many goodies to have!